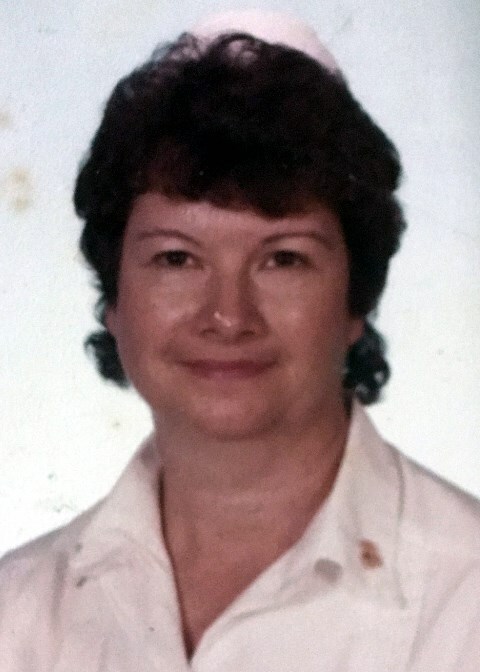 Betty Cannon Sawyer, 80, of Hamburg, peacefully gained her wings, Monday, January 21, 2019, at her son’s home in Hot Springs, after a long battle with Parkinson’s. Mrs. Sawyer was a native of Calhoun, Mississippi and a lifelong resident of the Milo Community outside of Hamburg. She worked as a Nurse’s Aid at the Leisure Lodge Nursing Home in Crossett for 10 years and was a member of the Eden Baptist Church. Mrs. Sawyer enjoyed crafts, sewing, and gardening. She loved her family, was a devoted wife and mother and was called “Grannie Mae” by her grand, great-grand and great-great-grandchildren. She left this world loving us all. She is preceded in death by a son, Billy Nelson Sawyer, Jr., in 2017; her parents, Hubert and Gladys Hardin Cannon; two brothers, Charles “Blackie” Cannon and Jimmy Cannon and two sisters, Annie Jean Funderburg and Elizabeth “Libby” Wallace. She is survived by her husband of 64 years, Billy Nelson Sawyer, Sr., of Hamburg; her children, Virginia Lorene Sawyer of Gonzalez, Louisiana, Pamela Beaty and husband, David, of Damascus and Billy G. Sawyer and wife, Wendy, of Hot Springs; her sister, Judy Cannon Grimes and husband, Larry, of Ashdown; her sister-in-law, Rosemary Cannon of Hamburg; 20 grandchildren, 53 great-grandchildren, 5 great-great-grandchildren and a host of nieces and nephews. Graveside services are 2 p.m., Thursday, January 24, 2019, in the Eden Cemetery with Bro. Gene Gregory officiating. Honorary pallbearers are Kody Sawyer, Josh Sawyer, Charley Sawyer, Jay Dee Murphy, Jacob Murphy, Curtis Jordan, and Christopher Sawyer. Memorials may be made to St. Jude Children’s Research Hospital, 501 St. Jude Place, Memphis, TN 38105. "To all the Doctors, Nurses, Caregivers, etc., we thank you from the bottom of our hearts for all the love and care you showed our mother. "